That was an awesome back drop…I wanted it. Seras Psychotik: So I have the pleasure of sitting here today with Butch Patrick. 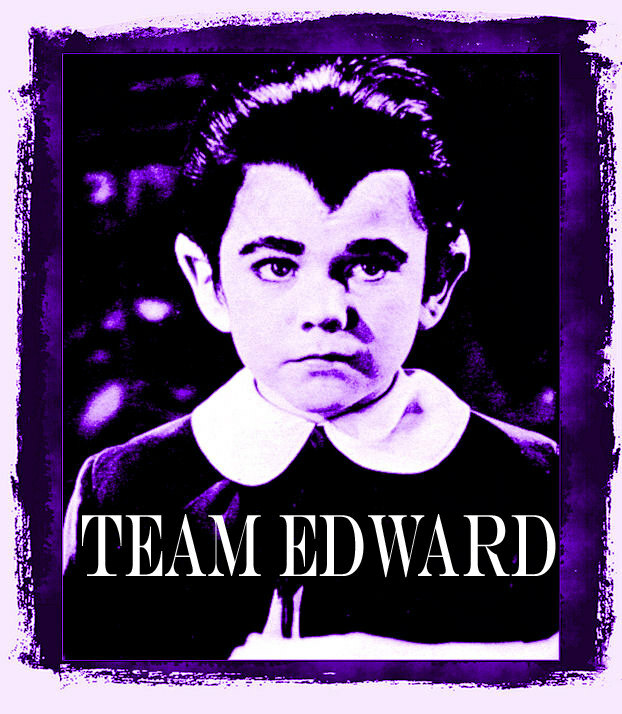 Most of you will know him as the lovable Eddie Munster from The Munsters. You obviously began acting at an early age. SP: Ha nope, not just The Munsters. How did you get started in the industry? BP: Actually, my little sister was the target of an agent. They wanted to take some photos of her and I went along for the ride because I didn’t have a babysitter. I was 7 years old at the time and she was 2 1/2. They took some photos of her and took some photos of me. The agent in question was Mary Grady. She was Don Grady’s mother, who was Robbie on ‘My Three Sons’. She was looking to open an exclusive child agency. She was working with an adult agency at the time. anyway, She needed kids. No experience necessary. Which I qualified for that. My first three interviews I went on, I got General Hospital the first year it was on. I got a nice movie with Eddie Albert, Jane Wyatt, Soupy Sales and Brenda Lee. Then I also got a Kellogg commercial that won an award for best commercial of the year. I got all of that right out of the gate and the rest just kind of snow balled from there. SP: So we all want to know, how did you land the role of Eddie Munster? BP: Well it came to me about 3 or 4 years into my career. I was living back east with my grandma, I used to go back and spend some time in the midwest with her. They apparently had this series on the books to compete with The Addams Family. The people at Universal wanted something to compete with it. They looked at several hundred kids in Hollywood, and it was basically down to a couple of kids. They decided at the last-minute they were going to tweak it a bit. So they called Yvonne DeCarlo and myself in for a final screen test. They changed the cast and the rest is pretty much history. SP: Was it difficult being the only child regular on the show? BP: No actually it wasn’t that bad. They used to call me a 39-year-old midget because I acted like an adult. Filming was just during the day so I would be at home and with friends in the evening. And the weekends were my own. I used to just go exploring and made friends with all the guys. You know the grips and special effect guys, the make-up people. A studio is a wonderful place for a kid to go exploring, if you know what you’re doing. With my make-up on, everyone knew I was supposed to be there so it wasn’t like anyone was going to say you can’t come on the set. It was a fun time. Like a kid in the candy store. We were only in make-up like three times a week so it wasn’t too terrible. SP: I read that Fred Gwynne and Yvonne DeCarlo were your acting mentors. What sort of advice did they share with you? BP: Well Fred was mostly my acting mentor. He told me to never trust the suits that it was us against them. Never take it too seriously, save your money, things like that. But the acting techniques we developed together. Well he had them and helped me develop them. Which worked wonderfully for the father and son scenes. Al Lewis spent a lot of time with me outside. Anything that involved throwing a ball or letting a kid be a kid as so to speak. Yvonne was kind of a substitute mom for me because my mom lived on the east coast. So this was my substitute family. Sometimes she would bring her kids on set to play and keep me company. So she did the mom thing which was really appreciated. SP: What has been your favorite experience working in the industry in general? BP: Probably meeting the people. Meeting all the stars and meeting them on a casual level. Not as an actor but just as people. Having lunch with them, chatting behind the scenes. You know how everybody sees them on TV and they are like “oh my god!” and you know them on a first name basis. SP: So you run a promotions company. Can you tell us a little about that? BP: I have been in promotions for years. I have been a promotable item my whole life. 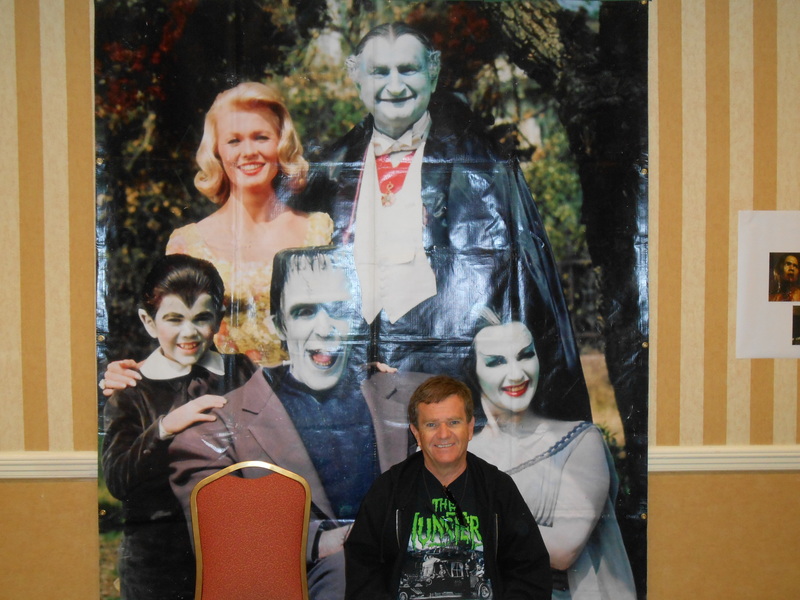 I was a prop so to speak when we would use the Munsters coach. When we were at the auction, here we are Eddie and the monsters and the Munsters coach being used. I do media consulting and I do promotional. sometimes I work for myself, sometimes for other people like publicists. SP: Any chance we could see a return of Eddie and the Monsters or is that over for good? BP: yeah that ship has sailed. There is a funny story with that actually. We just wanted to do rock videos. In 1983 with the onslaught of MTV, we made a video in New York. We were the first unsigned act ever to be aired on MTV. I did write the lyrics but I faked singing and faked playing the bass. So I was like a double whammy Munster vanilly. SP: Anything you would like to say to your fans? BP: Keep an eye out. I’m going to be working on a morning show. A 60’s turning 60, sort of baby boomer thing. A syndicated Saturday night show and I’m also going to do a morning show Tuesday to Thursday to allow my weekends to be free to travel around the country side and visit fans. Go to Munsters.com. I try to keep all my travels listed there. I’ll be doing some international stuff next year with the 50th anniversary of the show. So hopefully the next year will be more active than most. I greatly enjoyed having the privilege to do this interview. Butch Patrick truly appreciates his fans and is a complete joy to chat with. I hope to have the opportunity again.